Group Booking - Book out the entire hostel exclusively for your special occasion- private parties, family gatherings, work socials, sporting club and team breaks, team building events, pamper weekends, reunions, hens/stags, Christmas parties, New Year's celebrations. Water Activities Plunge into the deep end with water activities in Ballyhoura Country. Watersports, including waterskiing, canoing and kayaking, as well as dinghy sailing are available. Hill Walking The Ballyhoura area offers the tourist a wide variety of walking – exploring riverbanks, quiet country roads, rugged mountains, rich bogs and mythical landscapes. Comfort without Compromise However you choose to avail of the Ballyhoura Hostel Facilities, one thing is for sure you’ll do it in comfort. Stunning Scenery BALLYHOURA HOSTEL is perfectly placed in the centre of one Ireland’s prettiest towns. Kilfinane in County Limerick acts as the gateway to a whole new and unexplored world full of rolling hills, valleys and mountains of staggering beauty. Hostelling the LUXURY Way Our cosy sitting room, perfect for relaxing by the fire. Sit back and relax in the spacious Sitting Room as the fire roars on the chillier nights outside. Trail Riding Ballyhoura Mountain Bike trails are nestled into the beautiful Ballyhoura mountains straddling the counties of Cork and Limerick and run over 90km of the most wonderful undulating hills and forests that Ireland has to offer. Hostelling the LUXURY Way Purpose built, Ballyhoura Hostel is self contained with spacious and fully equipped Dining and Kitchen areas, plenty of private parking and secure entry and exist for your comfort and assurance. 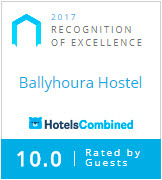 You’ll find Ballyhoura Hostel as the name suggests in the very Heart of the Ballyhoura Mountains in County Limerick, a gateway between Ireland’s Ancient East and the Wild Atlantic Way and yet only 2 hours from Dublin, 45 minutes from Cork and Shannon with Limerick City less than 35 mins away. 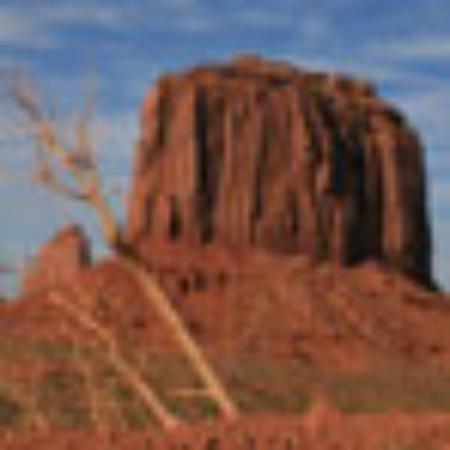 We are centrally located for exploring South West Ireland i.e. Munster and South Leinster.